Climate change, one of today’s most pressing issues, concerns everyone. In Western Australia, where scorching summers are not unheard of, experts warn that temperatures could get even hotter as a result of climate change. Some experts also predict that by 2030, temperatures will have risen by a degree compared to the past few decades—an increase that will largely depend on the rate of greenhouse gas emissions. Although you may survive without food for up to three weeks, you will perish without water for more than three days. With heat gradually drying up the usual water resources, such as dams, every drop of water becomes ever more important and worth saving. In response to this urgent need, and to address the increasing cost of water distribution, a growing number of Australian households now employ certain ways to utilise this gradually decreasing resource more efficiently, such as collecting rainwater. Utilising rain water tanks in WA homes, for instance, is becoming popular for this purpose. In fact, according to the Australian Bureau of Statistics, 32% of households have had water tanks installed as of 2010. Additionally, in capital cities, rainwater tanks are the second most popular source of drinking water. The benefits of collecting rainwater should not be overlooked. In Sydney alone, an estimated 420 gigalitres of stormwater is channelled out to sea each year—a staggering amount that could otherwise have been used for everyday activities. Rainwater has low salinity and is as useful as distributed water for hygiene, washing, gardening, and even drinking (provided, of course, it goes through the proper disinfection process). 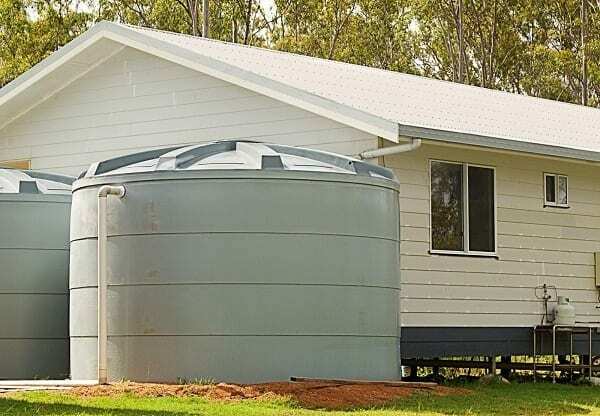 While you’ll certainly want to deal with a manufacturer that sells water tanks at Perth prices that are reasonable, you must also see to it that the tank you are looking to acquire is indeed proportionate to your roof area—a commonly overlooked detail that costs many homeowners dearly. You can choose from a variety of water tanks available, from slimline to corrugated ones, which companies like Rainfill Tanks and Curved Roofing Supplies offer. Once you’ve acquired one, remember that regular maintenance is a must in order to make the most out of harvested rainwater and to prolong the service life of your water tank.